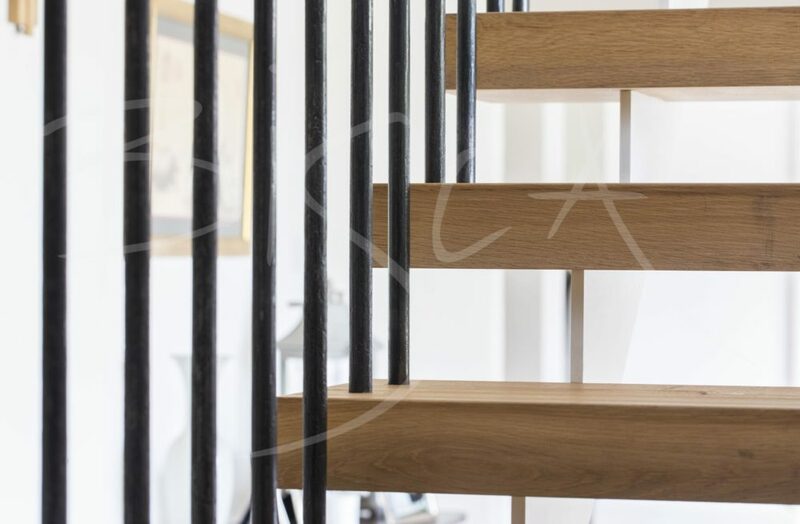 Vodka Oak Staircase – Bisca’s new take on Reclaimed Oak Stairs. 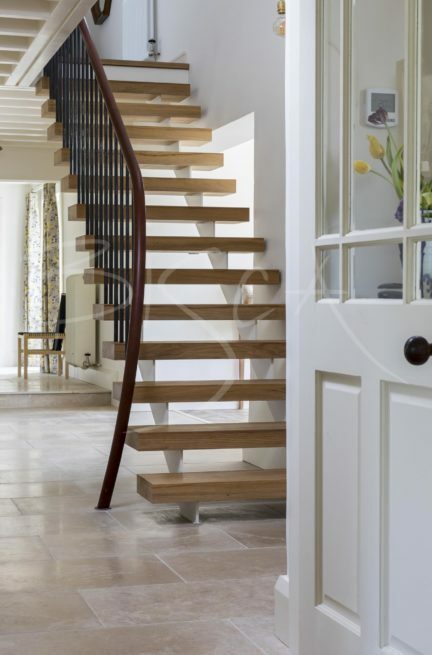 Reclaimed oak stairs in a period property in the heart of North Yorkshire. Our clients wanted a rustic look but not to the extent that Green Oak would give. Whilst exploring various reclaimed timber options, we chanced upon something different. Bisca do not hold timber stock – we buy in timber for each individual design. Therefore, when the client mentioned a family war-time connection Poland, Vodka Oak from the region was the perfect choice. We sourced the timber from a Polish distillery who had switched some production from oak to steel vats. At first glance, the staircase appears cantilevered. Yet, on closer inspection painted stringers support the treads but blend into the surroundings. 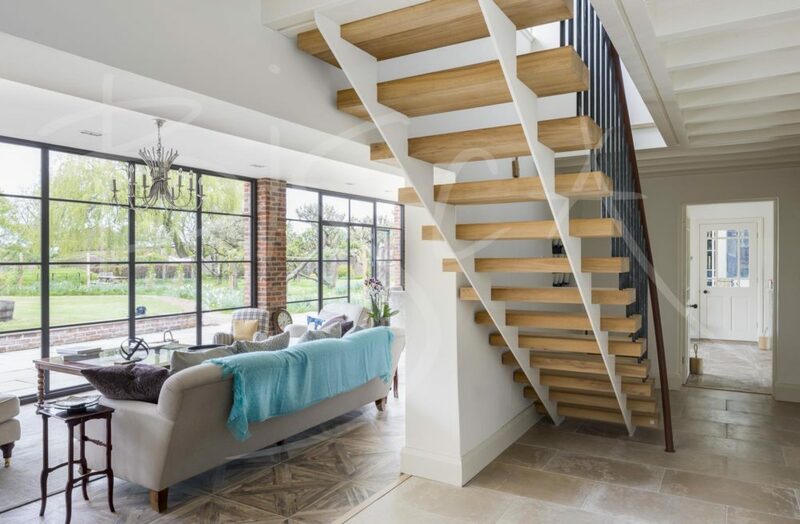 Hand forged and blackened uprights support the rustic appearance of this unique staircase. A burgundy leather handrail flowing down into a feature newel completes the look. Because a material has not been used in staircase design before, does not prevent its use. 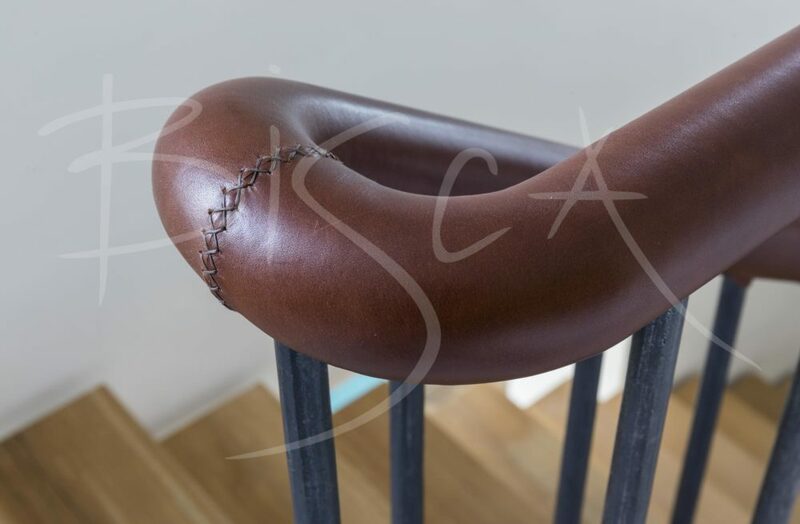 Bisca love pushing boundaries in both design and materials and will explore any options or ideas you have.